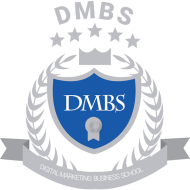 Digital Marketing Business School (DMBS) is a brand of ROI Fast Tract Info Tech Solutions. ROI Fast track Infotech Solutions has made its own mark in the web developing and hosting company. It has evolved from a small company to the one of the most elite company in the city over a period of more than 15 years. DMBS conducts classes in Digital Marketing Training, Google Analytics Training and SEO Training. It is located in Rajajinagar, Bangalore. It takes Regular Classes- at the Institute.